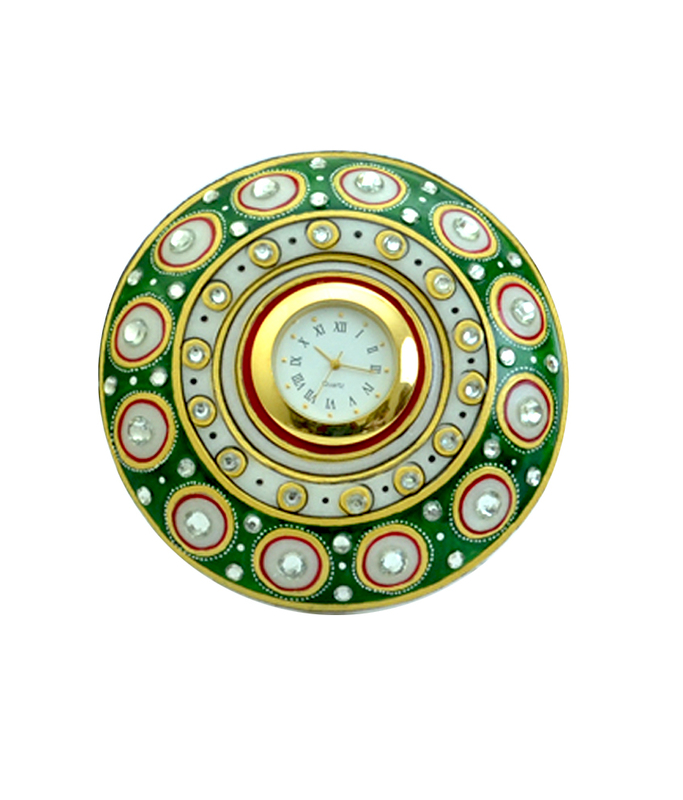 This Beautiful Marble Watch With Captivating Floral Work Same Can Be Used As A Decorative Also. This Is An Art Of Colourful Rajasthan. 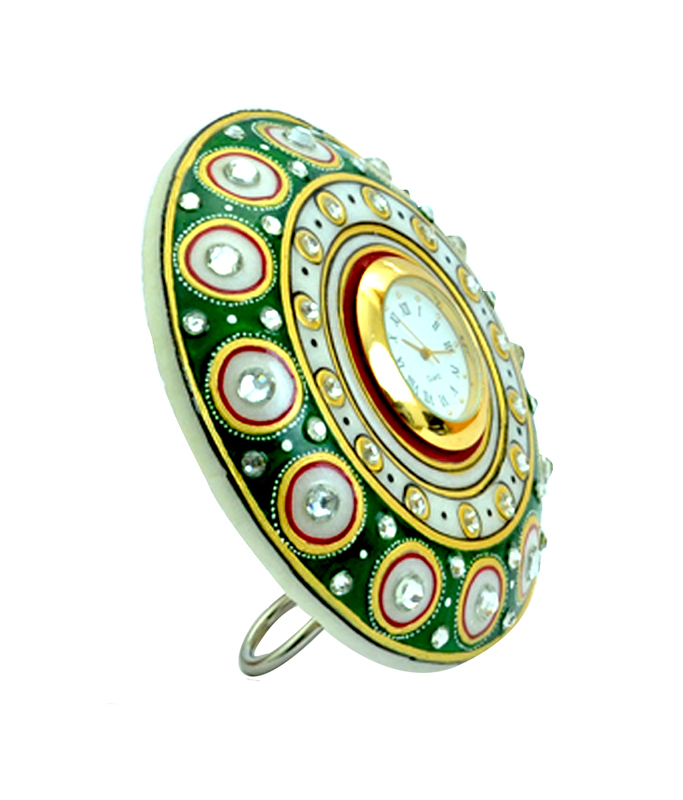 made from white Marble which reflects the artistic brilliance Its a perfect choice of gift to be given at the time of festivals Product colour may slightly vary due to photographic lighting sources or your Screen settings.